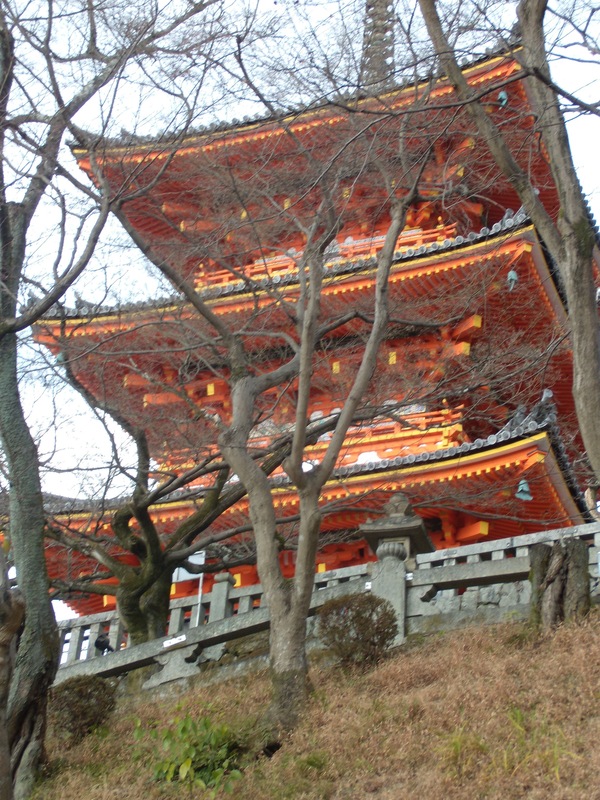 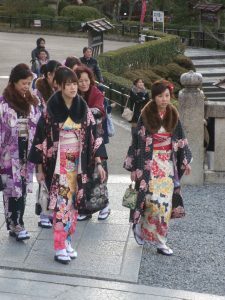 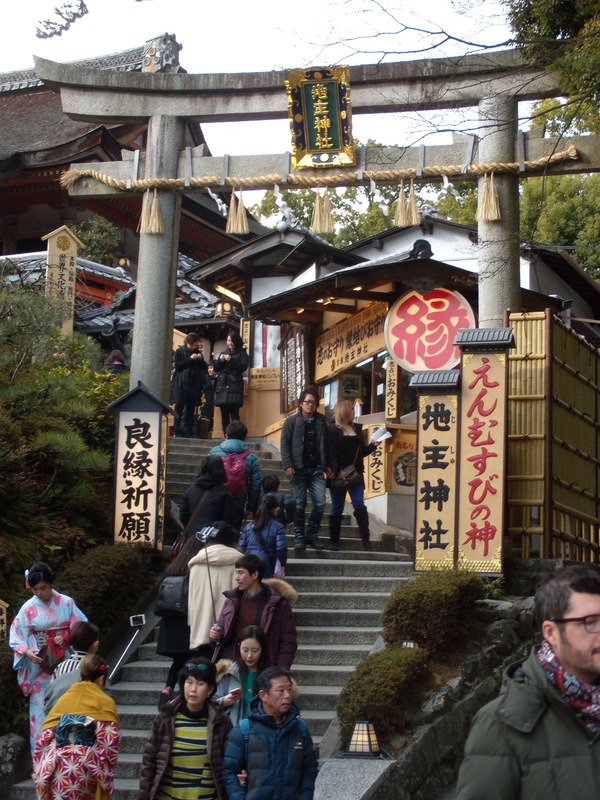 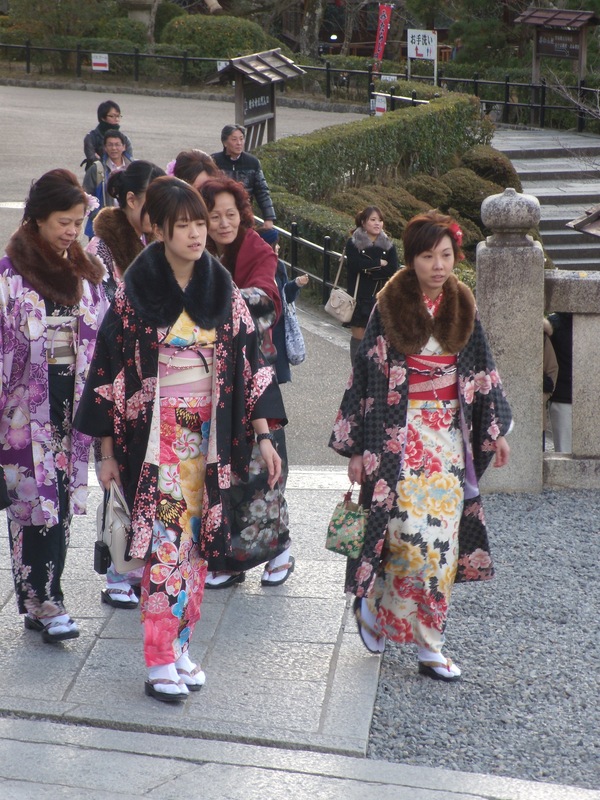 Kiyomizu-dera temple is one of Kyoto’s most famous Buddhist temples and tourist attractions. It is located in the eastern hills overlooking the city. 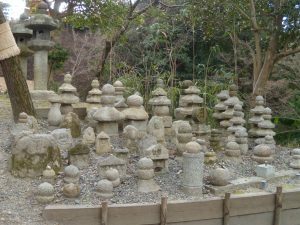 For many centuries, it was affiliated with the Hosso sect, which in English means “Mind Only.” The Mind Only sect is one of the original seven schools of ancient Buddhism that came to Japan during the Nara period towards the end of the 7th century. 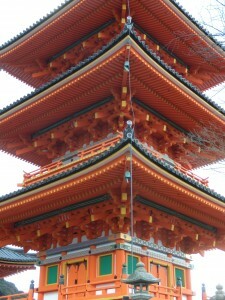 The temple was founded in approximately 780 CE and presently it is designated as a UNESCO world cultural heritage site. 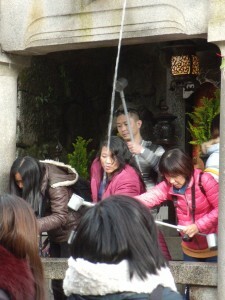 Within the temple grounds there is an area set aside for the Jizu Shrine. 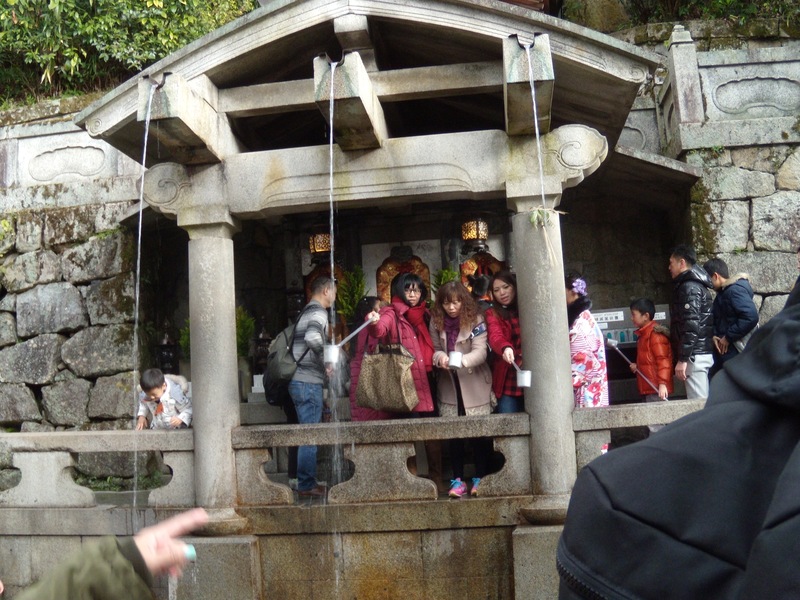 In addition to Jizu Bosatsu, this shrine is also dedicated to the Shinto god of love, Okuninushi. 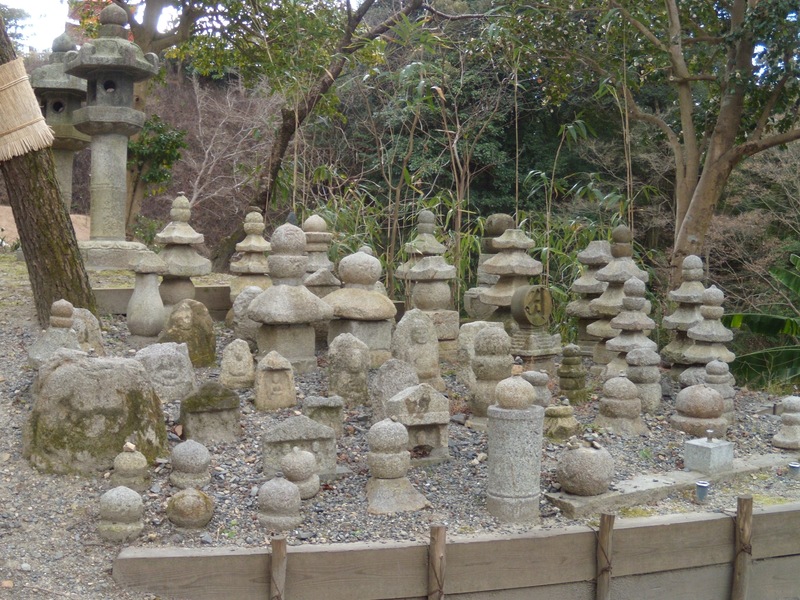 At this shrine there are two stones placed about 50 feet apart. 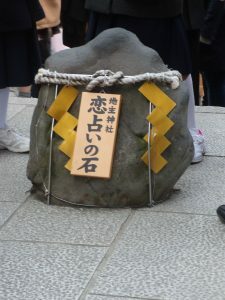 These stones are known as love stones. 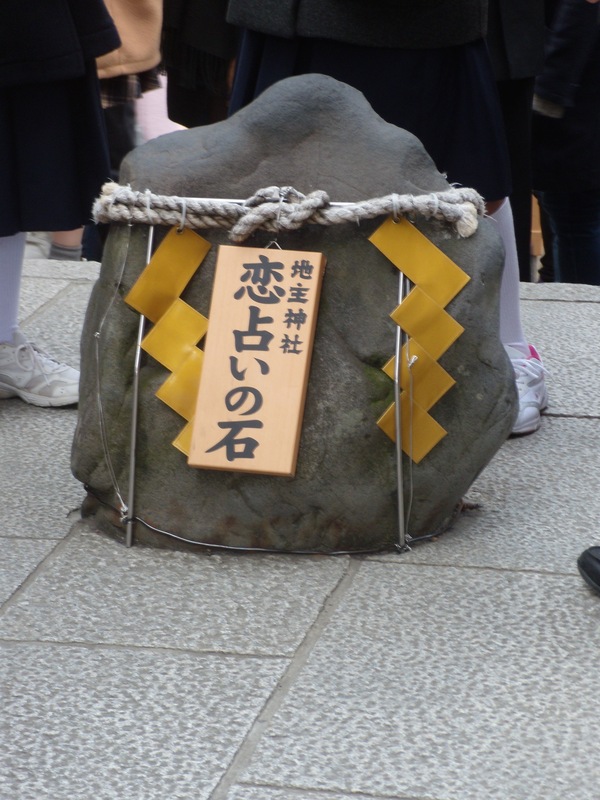 Any visitor that wants to can try to walk between these two stones blindfolded or with their eyes closed. If they are able to succesfully navigate from the beginning stone and reach the opposite stone then that is a sign that they will be successful in love. “Other structures on the spacious temple grounds include the Okunoin Hall, which resembles the main hall on a smaller scale and has also a stage. 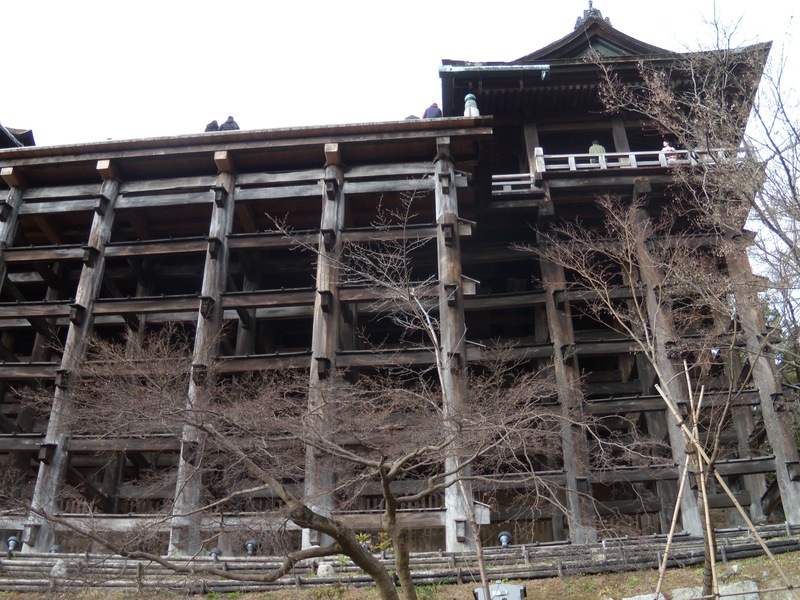 Near the Okunoin are halls dedicated to Shaka Buddha (the historical Buddha) and Amida Buddha (the Buddha of Light), as well as a small hall with nearly 200 stone statues of Jizu, the protector of children and travelers. The three-storied Koyasu Pagoda stands among the trees in the far southern end of the temple grounds, and a visit is said to bring about an easy and safe childbirth.